The first major study in more than a decade of compulsive gambling in New Mexico is being commissioned by an association of American Indian tribes that run casinos. The Santa Fe New Mexican reports that the industry-funded Responsible Gaming Association of New Mexico is financing a study designed to combat problem gambling in New Mexico. The study will examine gambling behavior among adolescents and adults across New Mexico with a focus on economically vulnerable populations. It is being carried out by the Pacific Institute for Research and Evaluation. A 2006 study of problem gambling in New Mexico estimated as many as 15,000 women and 24,000 men had compulsive or pathological behavior. 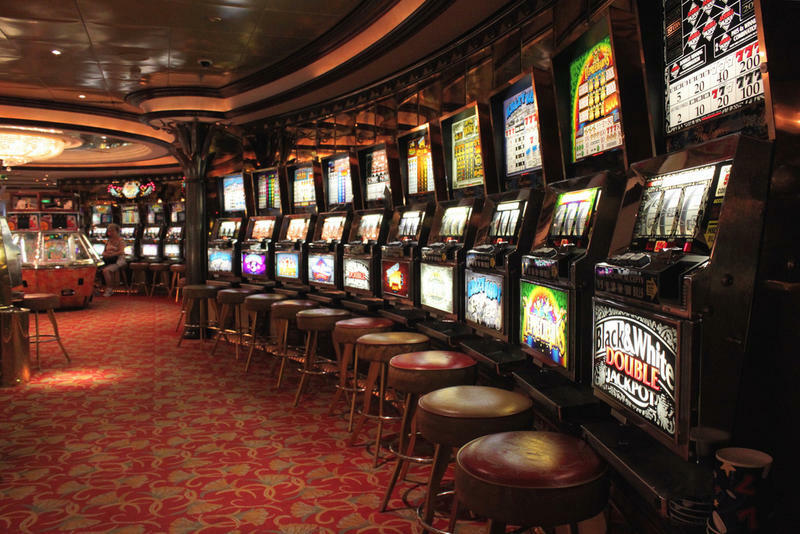 In the 1990s, New Mexico legalized slot machines at tribal casinos, horse-racing track, and veterans and fraternal clubs. The New Mexico Court of Appeals has sided with a coalition of environmental groups that had sought a public hearing related to the cleanup of chromium contamination at one of the nation's premier federal laboratories. The court in a ruling issued last week found that state regulators should not have dismissed the groups' request for a public hearing. At issue is a permit issued by the state Environment Department that allows Los Alamos National Laboratory to release thousands of gallons of treated wastewater as part of its efforts to address groundwater pollution. The coalition known as Communities for Clean Water says discharging the treated water could end up pushing a plume of chromium contamination closer to drinking water wells. The Environment Department did not return messages seeking comment. Navajo storyteller Kody Dayish says it's no secret that the Navajo code talkers played a significant role in the Allied powers' victory in World War II. Deming Mayor Benny Jasso also is the safety director for Deming Public Schools. He has made a practice of dropping by campuses unannounced disguised as an intruder. The Deming Headlight reports the game is to stop Jasso from penetrating layers of security at school sites. He says generally students are the first to spot him, as they are taking ownership of their campuses. School safety is a priority, especially after a shooting at Aztec High School in the northern New Mexico town of Aztec on Dec. 7, when William Atchison opened fire with a handgun, killing two students before killing himself. Security cameras cover almost the entire Deming High School campus and a combination of design features, daily routines, and security procedures are being refined to keep Deming schools secure. A state Supreme Court commission wants New Mexico to inject more accountability and oversight into its system under which guardians and conservators make financial and other decisions on behalf of incapacitated people. The final phase of renovations at the New Mexico Museum of Space History's theater and planetarium call for a full dome replacement. The U.S. Air Force has named its top nurse for 2017 and the award goes to a nurse practitioner stationed at Kirtland Air Force Base in New Mexico. State lawmakers around the country are pushing schools to put more emphasis on teaching students how to tell fact from fiction online, a skill they say is critical to democracy. An Arizona man whose behavior aboard a flight earlier this year forced an emergency landing in New Mexico has pleaded guilty to charges that he assaulted and intimidated crew members and flight attendants. A 30-year-old Albuquerque man is accused of causing a fatal crash while driving with his two young children in his car. Albuquerque police say another driver was killed late Friday when Steven Deskin's car slammed into the other vehicle stopped at a red light. Police say witnesses reported seeing Deskin's vehicle weaving through traffic at high speed before the collision. According to police, Deskin had been drinking and showed signs of inebriation. Deskin had picked up his 2- and 3-year-old children from daycare and they were in the backseat. Deskin remains jailed on suspicion of homicide and child abuse charges and it's not known whether he has an attorney could speak on his behalf. Chemical reactions are threatening to discolor and deform the surface of Georgia O'Keeffe's famously vibrant paintings, and experts are hoping new digital imaging tools can help them slow the damage. Dale Kronkright, art conservationist at the Georgia O'Keefe Museum in Santa Fe, says the project builds on trial efforts that started in 2011 to monitor the preservation of O'Keeffe paintings without disturbing or damaging the works.